After such a tough week I’m delighted to be spending some time with Jess at The Never Ending Bookshelf blog. Today I’ll introduce you to the voice of Conor, the hero in NORTHERN HEAT. I had a lot of fun listening to the audition tapes when the Trailermade Production Team sent them through. Making a trailer is fun all by itself, but hearing Conor come to life? That was very special. So come and meet ‘Conor’ at The Never Ending Bookshelf and go into the draw for the Northern Heat Pre-release Blog Tour prize packs! And don’t forget to pick up one of my ebooks at a bargain price – available at all good e-retailers. 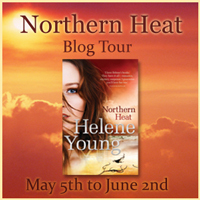 Blog Australian Romantic Suspense, Border Watch, Burning Lies, Cairns, Half Moon Bay, Helene Young, Jess Fitzpatrick, Lagoon 400, Northern Heat, Northern Heat Pre-release Blog Tour, Penguin Australia, Roo-Bin-Esque, Roobinesque, Safe Harbour, Shattered Sky, The Never Ending Bookshelf, Wings of Fear. permalink.